Oh yay! Kool Aid dyeing day. 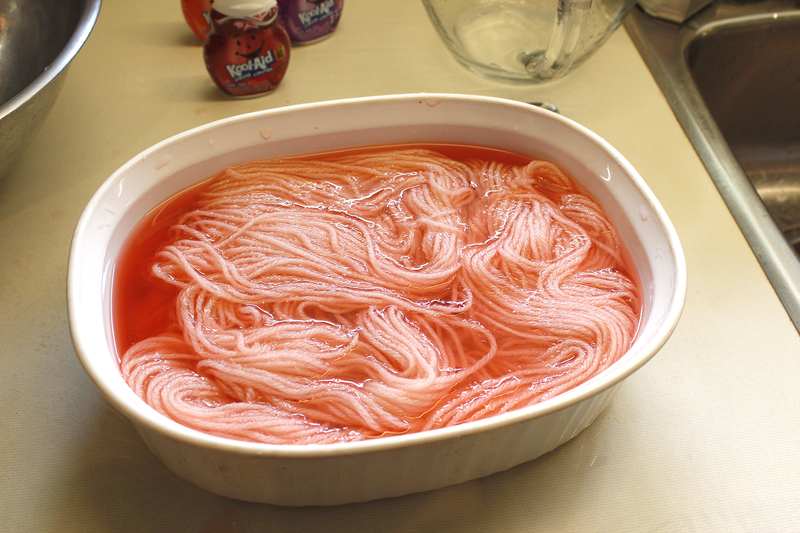 I’ve wanted to�do�Kool Aid dyeing for years. Today the girls and I tried it out. Things got tricky right away when I realized that no-one seems to sell the powdered form of Kool Aid anymore. So I improvised and used the liquid concentrate instead. First thing I discovered is that if you want an intense colour you need to use about half a container of the Kool Aid concentrate. 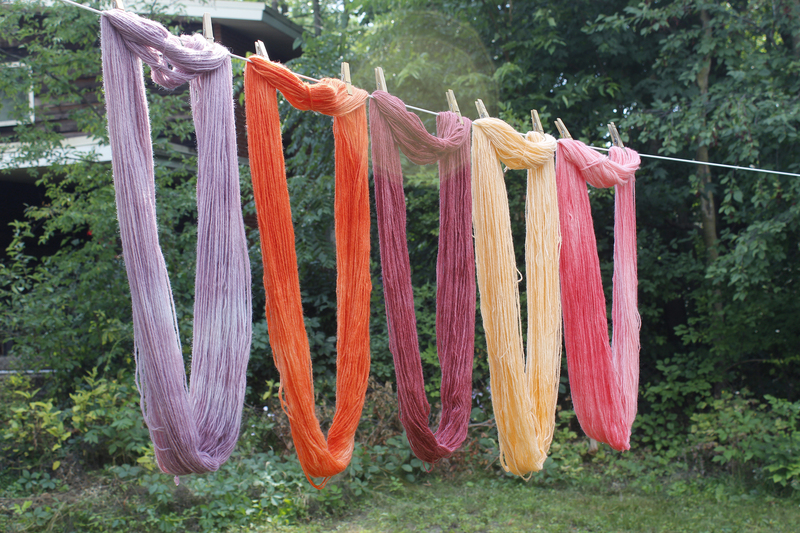 Our first few skeins came out pastel – pretty but not what the girls had hoped for. I think I will re-dye them at a later time. Second thing is wear some gloves – I didn’t and now I have stained fingers and smell like fruit punch of some kind. 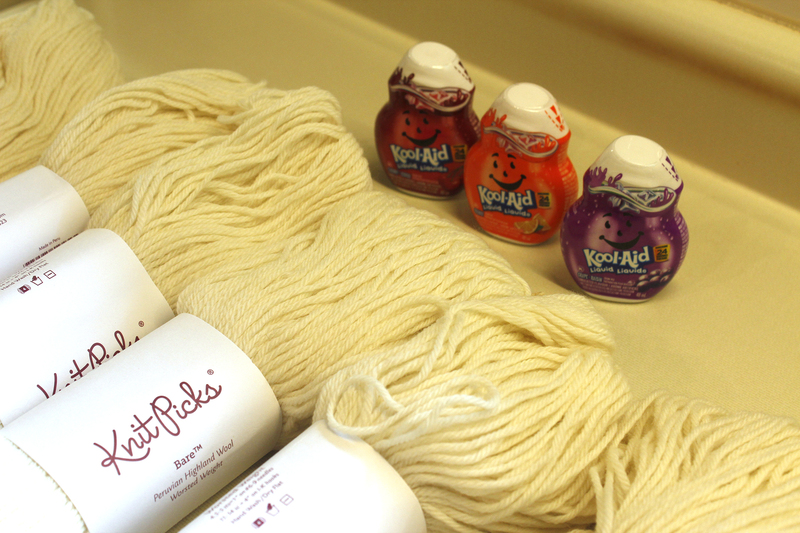 Step one – white, 100% wool yarn and either powdered or liquid concentrate Kool Aid. 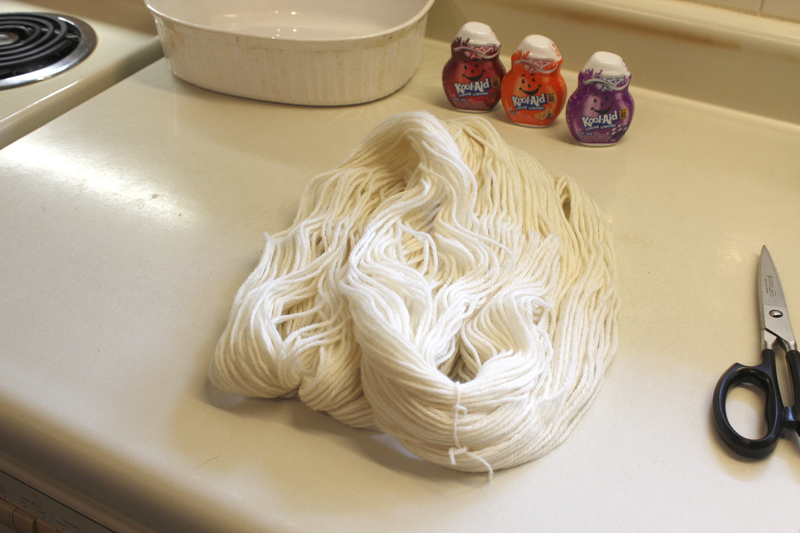 Step two – prepare the skein – make sure it’s loosely tied on either end so it doesn’t tangle. 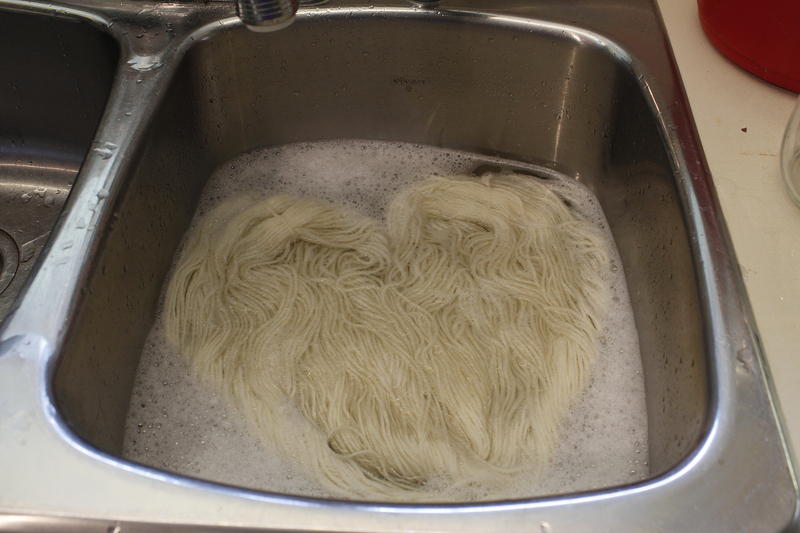 Step three – gently wash with mild soap. 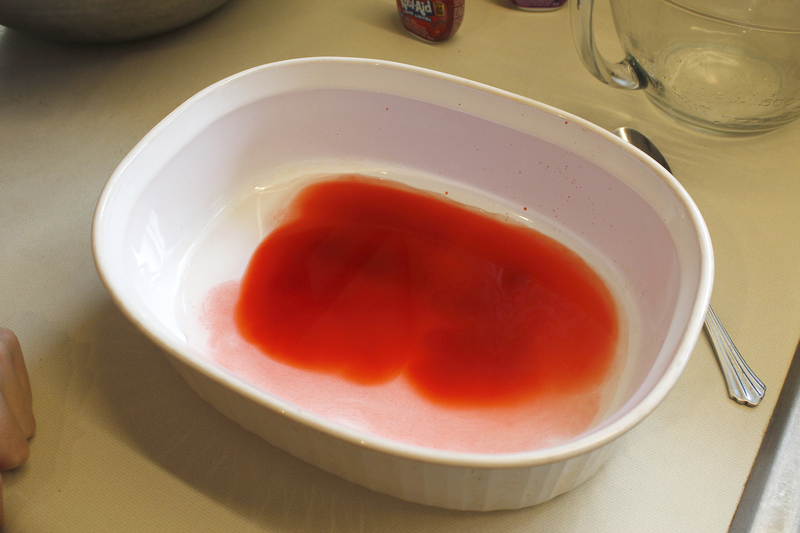 Step four – pour dye into a mircowave safe container – use more for intense colour (use about half a liquid container or one full powder packet). 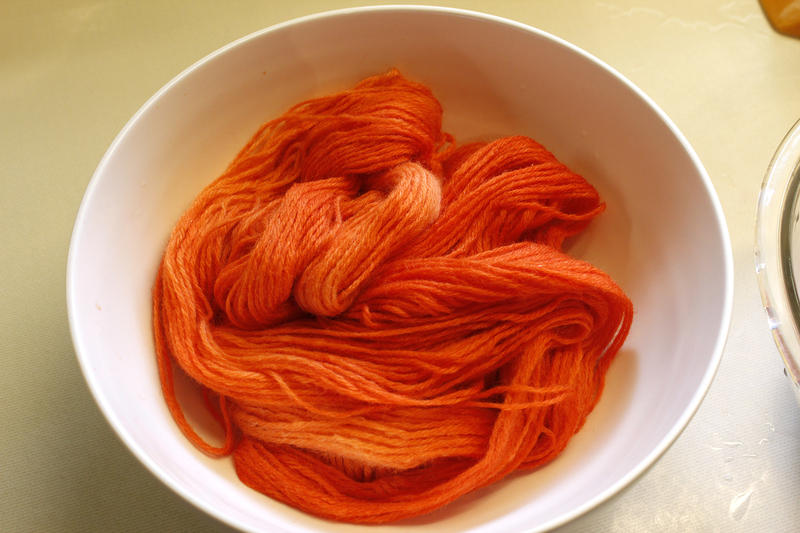 Step five – add water to cover the skein – I think I have a bit too much water here. Less would be better. 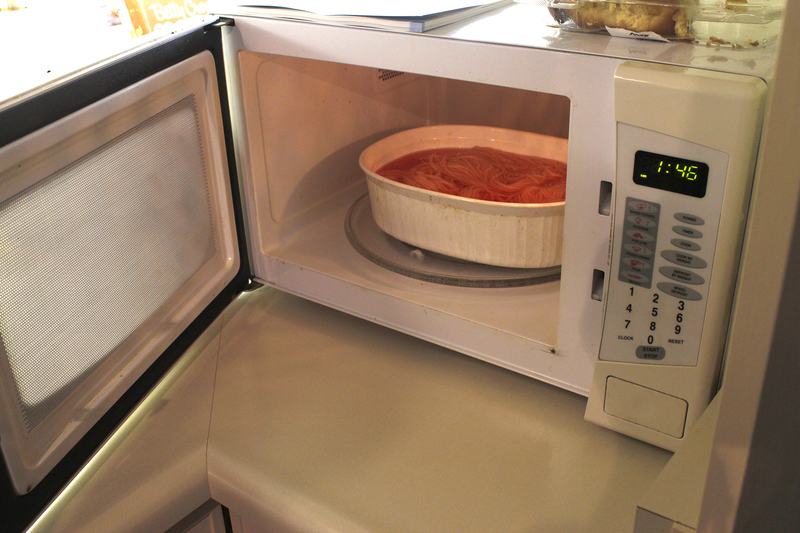 Step six – microwave for 2 minutes, let rest for about 2 minutes – repeat this a couple times until you see the water becoming clear. I found 3 repeats to be enough. 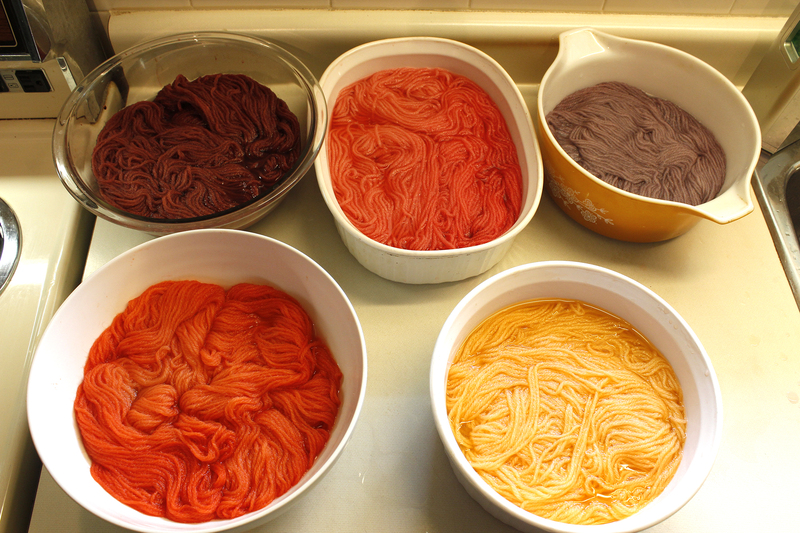 Step seven – let sit until the yarn cools to room tempature or so. Rinse in water that is similar to the tempature of the yarn so it won’t felt. Step eight – Squeeze out the excess water – gently. Step nine – Hang to dry. Wind into balls and knit away.